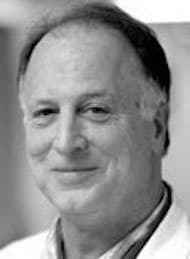 Richard Bianco is the Director of Experimental Surgery at the University of Minnesota, where he held a number of roles, including Senior Member of Graduate School Faculty (Biological Sciences), Director (Cardiovascular Surgical Research Laboratories) and Deputy Vice Chair for Research (Department of Surgery). He is Professor of Surgery and Adjunct Associate Professor of Veterinary Population Medicine and Fellow of the American Institute for Medical and Biological Engineering (AIMBE). Throughout his career, Bianco has held memberships and offices in 19 professional societies and is still actively involved in 16 of them, including The American Heart Association (AHA) and the Heart Valve Society of America. He was Chair of the International Medical Devices Society from 2010 to 2012 and in 2012 he received the Director’s Award from the Institute for Engineering in Medicine. Bianco also received six Federal Grants including one for the project: ‘Completely Bioengineered Tissue Valve’. He has 97 peer-reviewed publications to his name, alongside over 55 presentations and abstracts, and he is active on a number of committees including International Standards Cardiac Valve Committee, the Journal of Heart Valve Disease Scientific Advisory Board, and co-chairman of the Vascular Prosthesis Working Group.